Many thanks for the comment. Hmmm. Interesting observation. Perhaps the Azure is “accidentally” carnivorous? Definitely a good question for someone to investigate! I followed this from The Lep Society FB post, so forgive me if I haven’t scoured your blog further to see if you have already covered this. Here moths rule! I can think of several American non-plant eating moth species off the top of my head, plus some that are “accidentally” carnivorous. The Planthopper-parasite moth (Fulgoraecia exigua), found in Eastern forests, is exactly what it sounds like. Hawai’i has at least two actively carnivorous species, a Cosmopterigidae (Hyposmocoma molluscivora), which as its name implies, eats snails, and several geometrids in the Eupithecia genus that attack fruit flies. As Kent notes above, it also wouldn’t surprise me if there aren’t more incidents of mainly budwords and frugivoires consuming the larvae inside buds and fruits. A colleague of mine has seen a noctuid going after ground cherries actually prefer the fruit infested by the gelechiid budworm (despite having lower fitness on the infested fruit!). Thanks for this great review of Lep carnivores and the link! However, as far as I am aware, the Harvester is the only carnivorous butterfly in America. 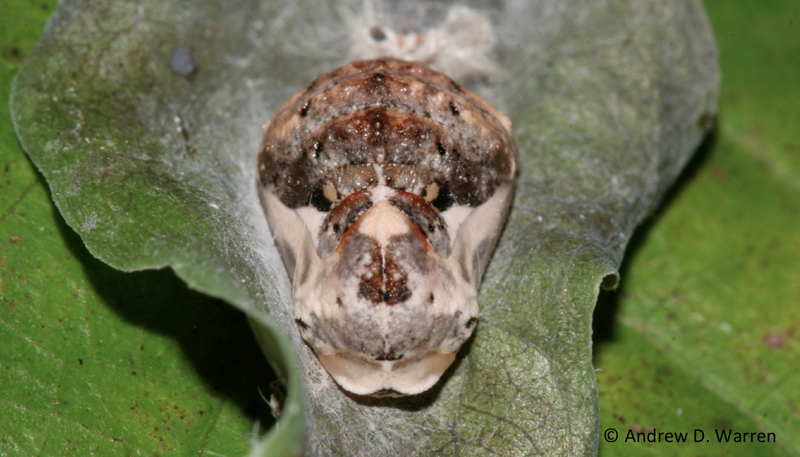 Moths, of course, are a completely different story (one for another post…?). Not to say that there may not be other carnivorous butterflies here, but if so, they are not really known yet… One more note, politically, Hawaii is part of the USA, but biogeographically, it definitely is not part of America! A really good article. They are closest to the genera Spalgis (Indo-African) and Lachnocnema. 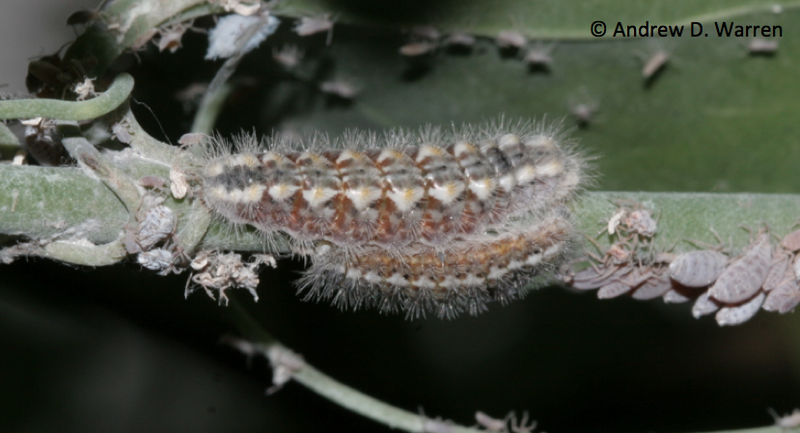 We only get the latter in South Africa, and despite lots of searching have never found a larva! So I’m really rather envious of these shots, particularly the one of the aphid meeting it’s end! Many thanks Steve! We are lucky to have a population of Harvesters just a few feet out the backdoor of our museum, so I get some unique opportunities with them! Come visit in Sept-Oct to see them for yourself! And good luck on finding larvae of your local Lachnocnema! Hi Andy. I just found your blog. Great! I believe there is another carnivorous butterfly in Argentina. Phil DeVries and I discovered it turning over rocks in the Quebrada of Humahuaca (Jujuy). 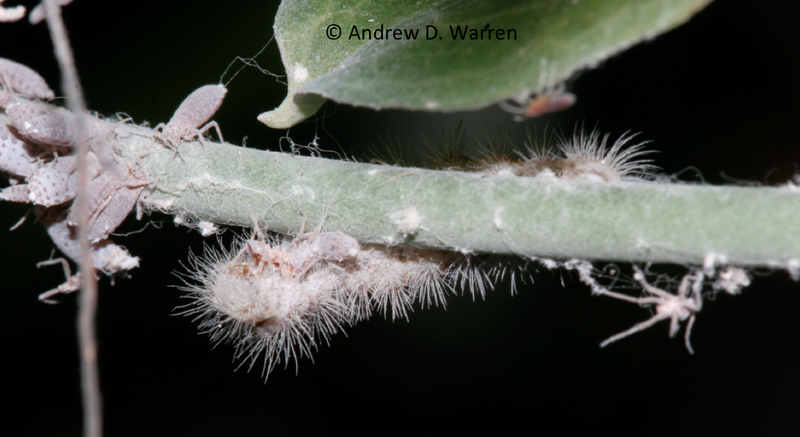 There was no evidence of the ants feeding the larvae plant food — like another related species. Both then in the genus Audre. 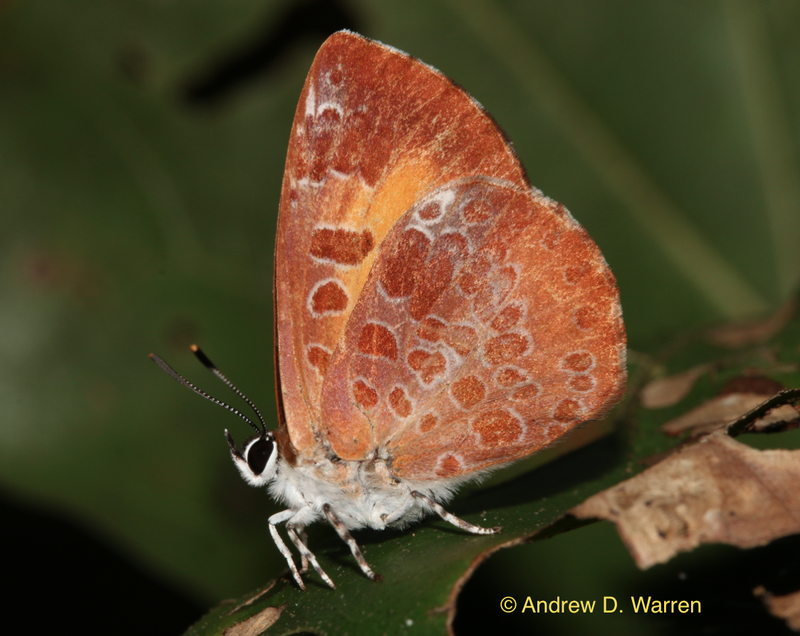 Phil reports on it p.226 in his Riodinid volume on the Costa Rica butterflies. Great info and pics! I will be sharing your post with my campers in our Spring Break Monster Science Camp (with your permission? )… Ahhhhhhh Real Monsters! I am camp director here at Sci-Port: Louisiana’s Science Center. You mentioned you work at a museum, where are you located? I would love to check out your museum and look for these in the fall. Of course feel free to share the post! I hope it proves to be useful. I’m at the Florida Museum of Natural History in Gainesville, FL. If you’re ever in the area, be sure to stop by!